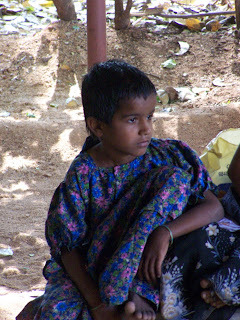 Gowthami, a 6 year old girl, from a village about 15 km from here, was brough to the RHC with a h/o poor apetite and increasing lassitude. 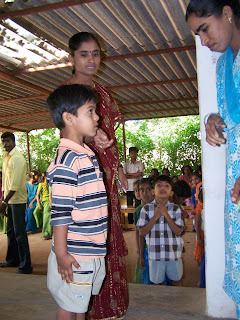 Clinically she was undernourished (as the photo shows), there was pallor and she was very hesitant in answering questions. Her parents had followed the usual route of going to RMPs, Doctors who all have given her injections and IV fluids. Not one of them had done a blood test or examined her. 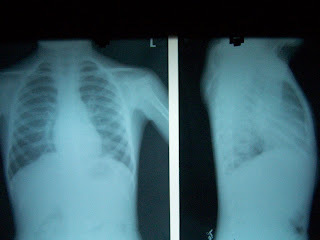 The X Ray of the chest showed a fullness of the Pulmonary Bay, suggestive of a mediastinal mass, probably a lymph node. This made us think of a LYMPHOPROLIFERATIVE DISORDER, ? Hodgkins or NHL. We have sent her for CT Scan to find out the spread of the disease. We are awiting this report. As you can see we have a new generator, which has been installed, tested and is now fully functional. This hopefully will help us tide over the ever present problems of power cuts, which, as summer approaches is only bound to get worse. 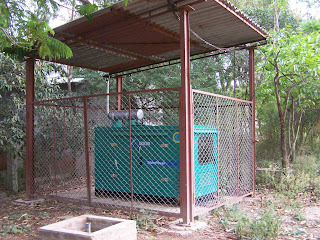 This Generator was thanks to the kind generosity of Mr Shyamal Purushottam, a prent of Rishi Valley School. We all thank him for his generosity. 16th February is always a date that hangs heavily over us. Dr Ramamurthy, PhD passed away on this date. 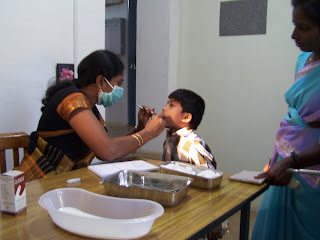 This year, thanks to his brothers, we were able to organise a Paediatric and Dental Camp for about 100 children of the Rishi Valley Rural Education Centre. 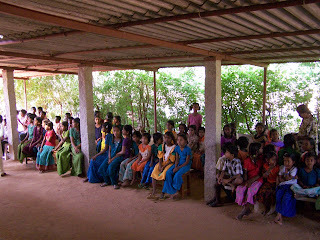 These photos are from the camp. Ofcourse analysis of data will take some time. The pictures you see are that of a new ambulance. This has been made possible thanks to class of 1982 of RVS. 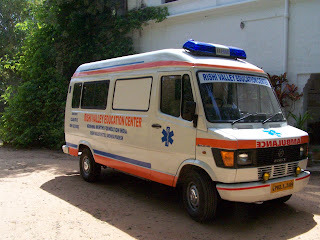 After buying the ambulance we found a builder in Bangalore who modifies Ambulances. 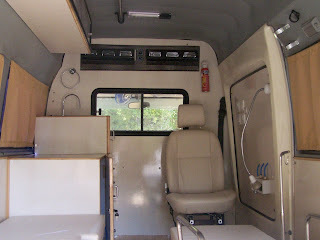 We got it modified to suit our needs with roll on/off stretcher, airconditioning doctors seat, electricalpoints etc, including a placement for an Oxygen Concentrator. We now need to get a Defibrillator and a Transport Ventilator to make the ambulance fully and effcetively functional. The Andhra Pradesh Government had recently launched the Arogyasri programme in which, the poor get access to high end medical care which otherwise would not have been accessible to them because of the costs involved. Mallika, was diagnosed in the health centre to have a Congenital Heart Disease - most likely a Patent Ductus Arteriosus in early February this year. She was referred to SVIMS, Tirupati, under this schme. The the ECHO Cardiography confirmed the diagnosis and by the 20th of Feb she was operated and discharged by the end of the month - ALL DONE FREE OF CHARGE. 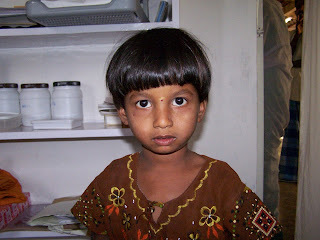 Mallika is now doing well and is quite health post operatively. Such programmes, if they function well can do a lot of good for the poor,who are as it is hamstrung by the lackof financial resources. May the Arogyasri continue doing good work.